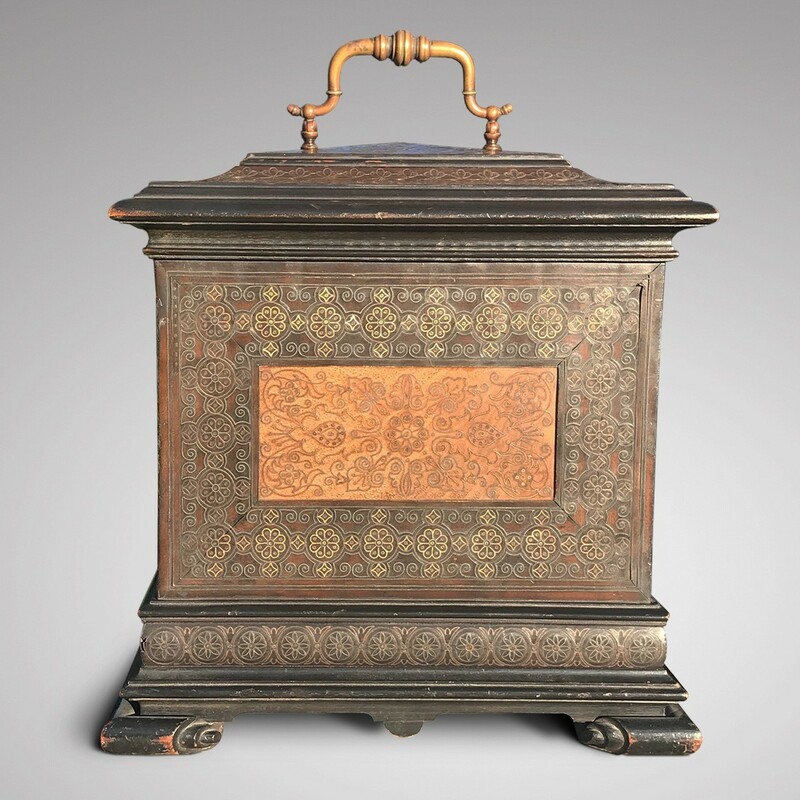 A 19th Century Anglo Indian hardwood table cabinet with maple panels and fine copper and pewter inlay. 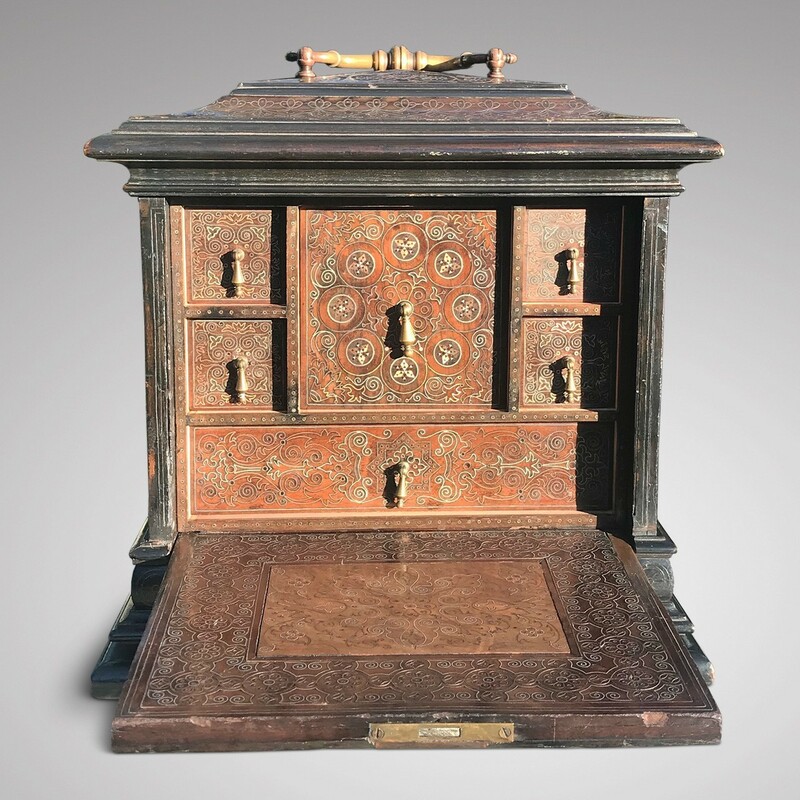 The cabinet has a caddy top, brass swan neck carrying handle, working lock and key and stands on scrolled bracket feet. 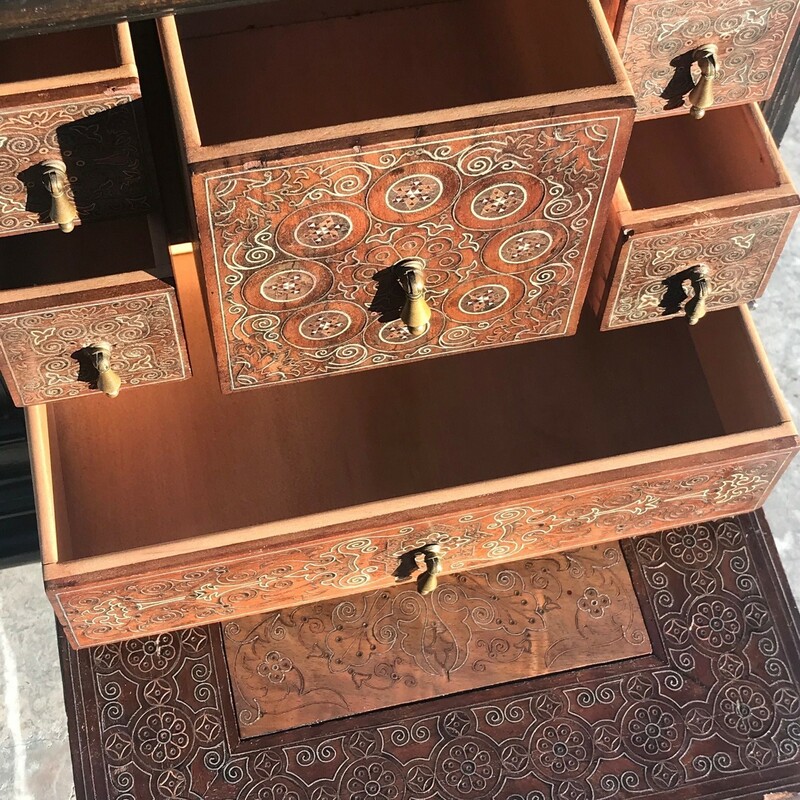 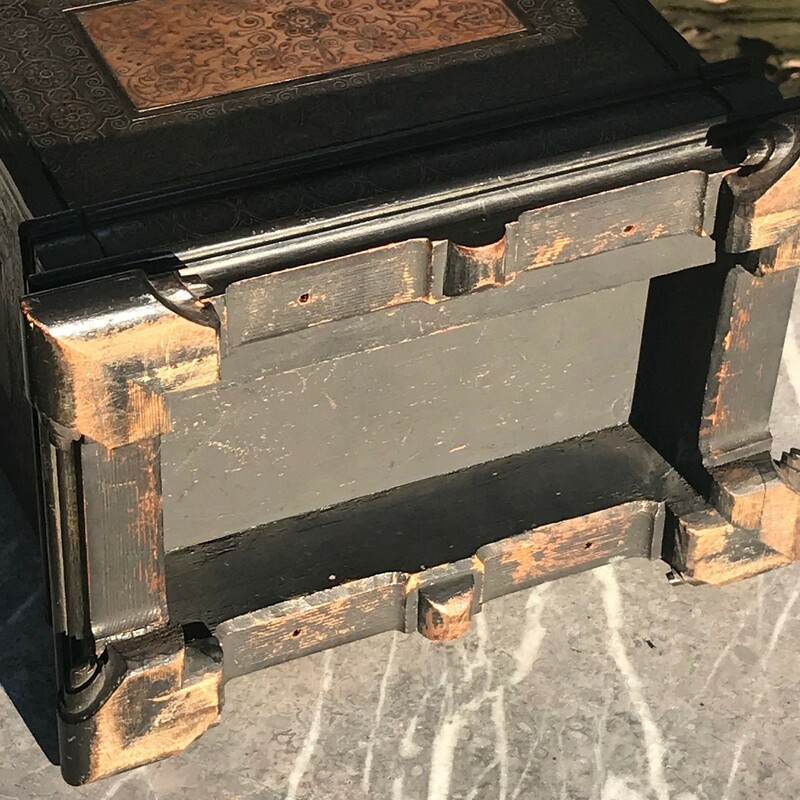 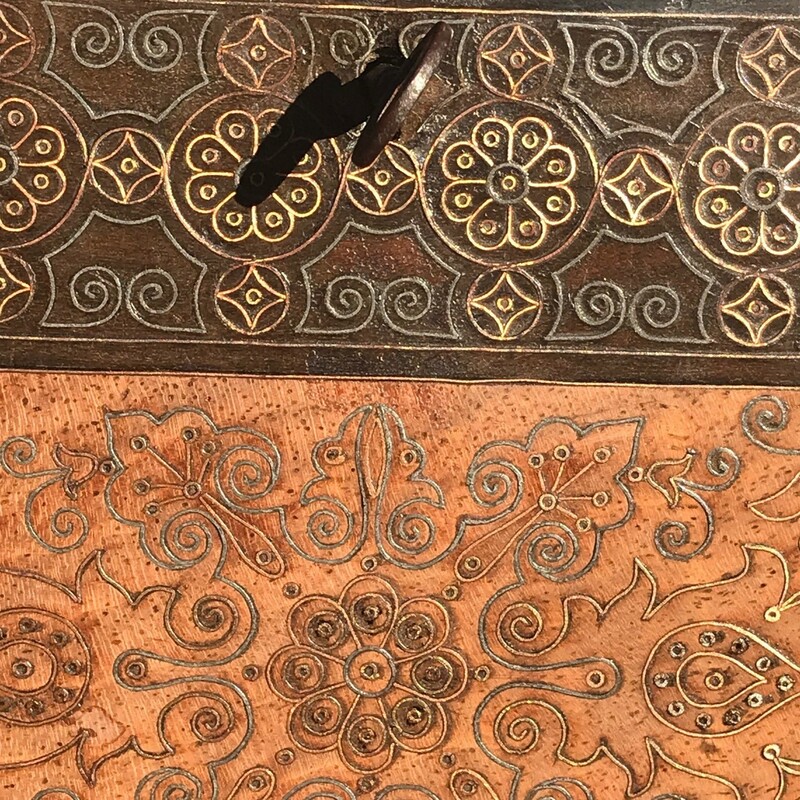 The fall front opens to reveal six drawers and an interior with exquisite copper and pewter inlay. 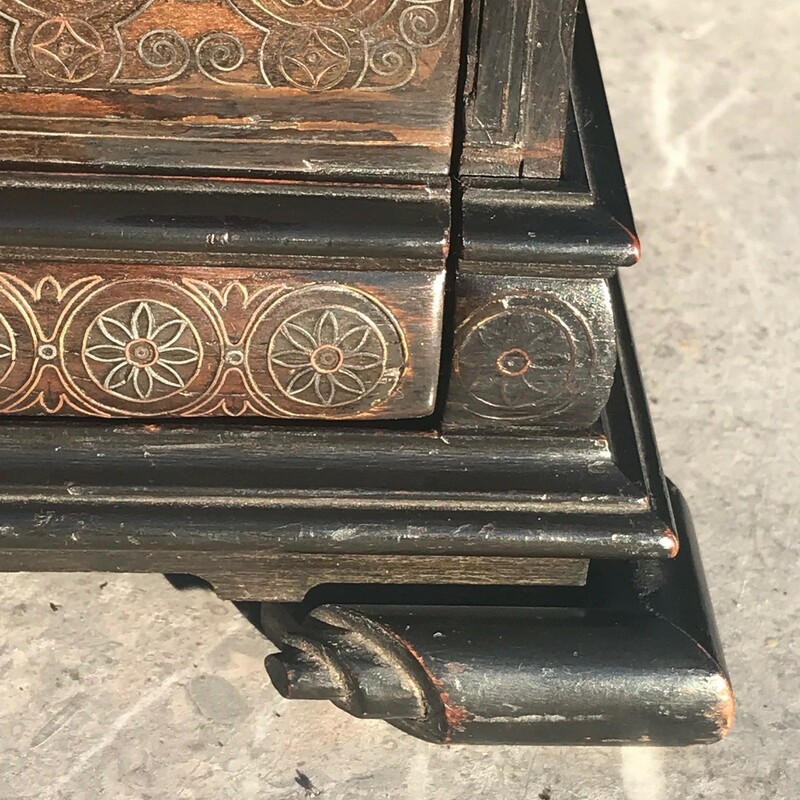 The condition of this antique cabinet is good. 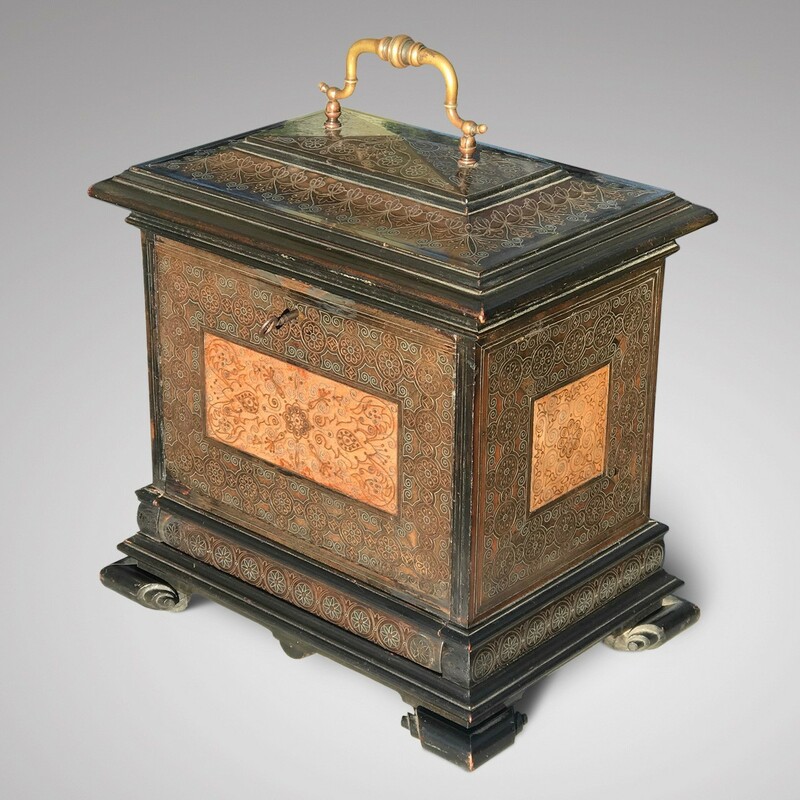 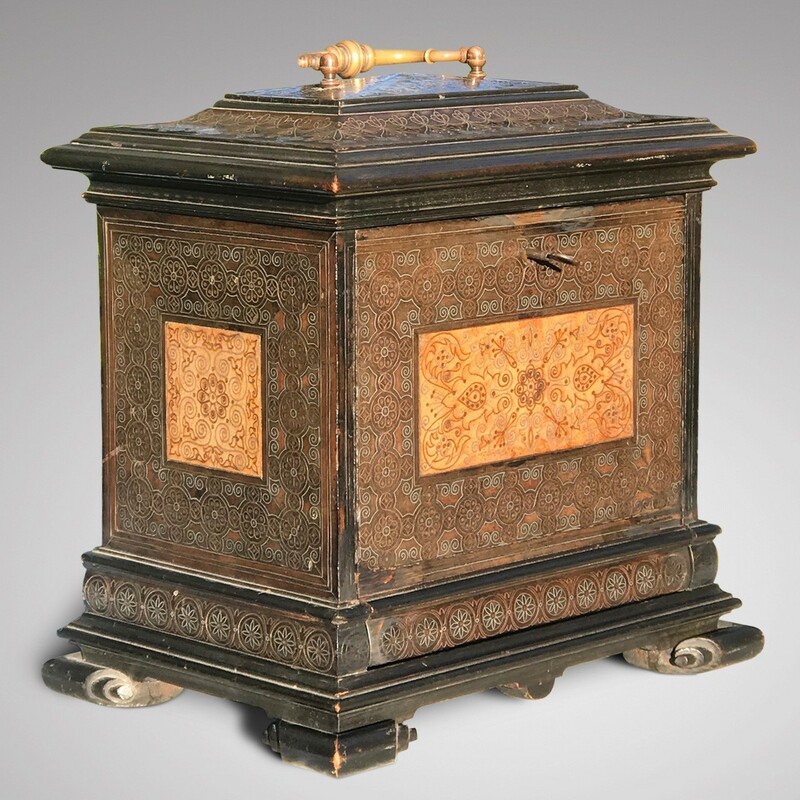 This cabinet is a stunning display piece with the added bonus as storage for other treasures.